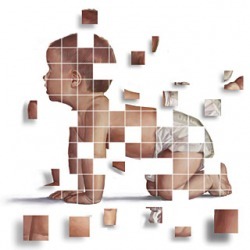 When looking at the arguments for and against the process of designer babies (through IVF and involving Embryo Screening) I believe we can find an obvious middle ground. Such a point is found in the distinction between the purpose of the screening itself. Will it be used for therapy or enhancement? It seems, after analysing different articles and weighing up the pro’s and con’s, that using the screening for therapy, scanning for disease, hereditary problems, etc, is sound as these are safer, surer scientific process’ that can be justified easily. In addition, in the case of Stem Cell use with existing siblings, it can be beneficial to more than one life. As the current scientific technologies enable us to be accurate and clean, the process itself and the implantation is incredibly effective and can be trusted. Enhancement, on the other hand, is risky. True, we do know which genomes can determine which characteristics, but we are not completely certain about what any overlap or increase in the gene will do it later life. This area, apart from breaching on existing ethical issues, is ground we should not cross into.